Nature is so cool, and sometimes we forget how connected to it we are. I was recently reminded in a presentation by scientist, Kevin Spelman, at the Natural Products Expo. He told a short story to highlight interdependence. 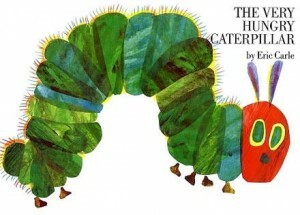 This is a new take on the children’s book, The Very Hungry Caterpillar. A hungry caterpillar started to look for some food. As we know, he ate, and ate, and ate, and ate. And that night he had a stomachache. The next day, the caterpillar started to eat one nice green leaf. Now this is where it gets cool. 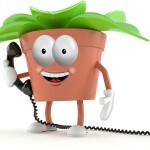 The plant recognizes it is being eaten and sends out a signal for help! It does this by releasing a chemical compound that creates an odor. That smell can be detected by a wasp. Upon sensing this ‘smoke signal’ from the plant, the wasp takes action. She lifts off and heads toward this plant in distress. She sees our caterpillar friend munching-away, and thus opportunity. The wasp zooms in and pierces the caterpillar’s flesh and places an egg inside of it! Whoa! In just a week’s time, a wasp larva hatches from the egg inside the caterpillar, feeds on the caterpillar’s internal organs, (saving the brain for last. gross), and departs from the caterpillar’s decimated body. In a rather evil twist of irony, the caterpillar is eaten, not the plant. A new life is born. Another terminated – Mr Hungry. 🙁 And the plant has been saved thanks to it’s ability to call 911-WASP. Further coolness. Depending on the type of caterpillar that is eating the plant, the plant can signal different types of wasps! The plant ‘knows’ that different types of wasps have caterpillar preferences. Wow. The sciencey versions can be read at Science Daily. This knowledge has led scientists to look to nature for sustaining plants and fending off predators naturally, rather than through chemical insecticides. This entry was posted in nature on March 23, 2012 by KB.